How will you use your dining room? First, consider how frequently you will use the space. If you plan on using your dining room on a daily basis, a casual dining set-up with sturdy, long-lasting furniture is best. 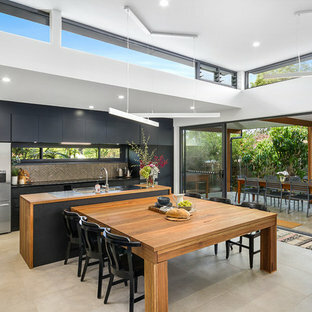 As for where you position it – well, any unused space in the home can be converted into a casual dining space, whether it be at the end of a kitchen island, or at the bottom of the stairs. A formal dining room, on the other hand, is more suited to a dedicated space, which is more common in heritage homes where space originally wasn’t at a premium. Perhaps you want your dining room to multi-task and accommodate everyday meals, homework sessions and grown-up dinner parties… If that’s the case, furniture is key. 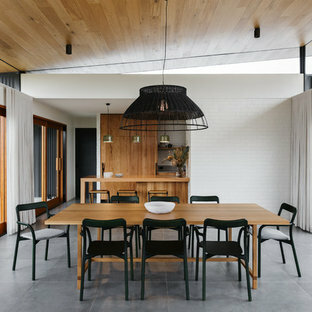 Look for versatile dining tables in either Australian or New Zealand hardwood or weathered timber for a more rustic look. These won’t show up sticky fingerprints as much and can be dressed up for guests. 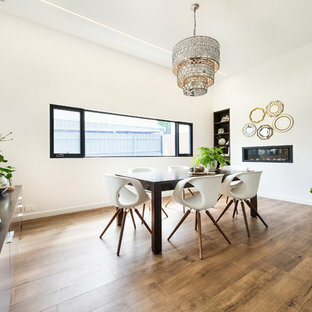 What size and shape should your dining table be? Your dining table should be able to seat all family members with some room for additional guests – each person should have at least 60 centimetres of space at the table. The right size, however, also depends on how much room you have. A general rule of thumb is to leave no less than 1 metre from the dining table to the wall or any additional furniture, so people have enough room to comfortably move around the space. Rectangular dining tables are versatile and can work in a variety of settings, while oval dining tables are more traditional and can turn any meal into an occasion. If you have a tight space to work in, a round dining table is best, and also a great option if you want to encourage conversation. 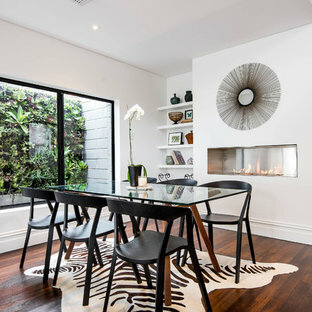 A square dining table can be a dramatic addition to a dining room, but only if you have the space. It allows everyone at the table to see each other, but the bigger the table, the harder it will be able to hold a conversation with someone at the other end. What type of dining chairs should you choose? Once you’ve decided on a dining table, look for dining chairs that share a common design element. If your dining table legs are curved, for example, try to match them with dining chairs that have a similar curve, either in the legs or back. Next, consider the dimensions of the chair. The height of your dining chairs should allow at least 30 centimetres between the top of the seat and the top of the table. And to keep your tush happy, avoid dining chairs narrower than 45 centimetres. How can you decorate your dining room? 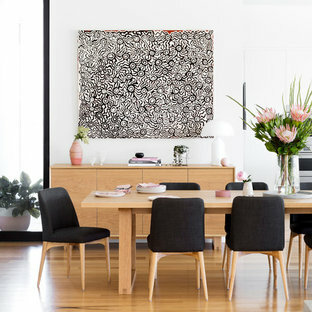 Dining rooms are relatively minimal spaces, but that makes them a great place to splash a little colour through artwork, especially if yours is a formal dining room. If your dining room is lacking warmth, consider painting the walls a deep shade of red or blue, or go contemporary with black or grey. A cosy rug will make the space feel more intimate, while a sideboard or cabinet of curiosities will further personalise the space. Often overlooked, dining room lighting can also drastically alter the mood of a room, creating drama, spurring romance or encouraging conversation. 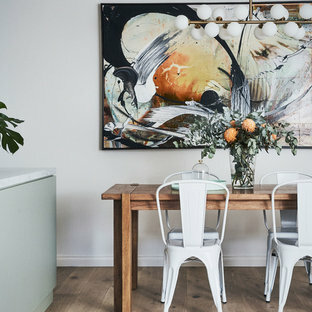 Opt for soft lighting in the dining area with dimmer switches, and choose oversized pendants in large, open spaces or to make the dining area more of a focal point. Finally, add some table settings, such as a lace tablecloth for a whimsy feel, or a more basic table runner for a chic look. 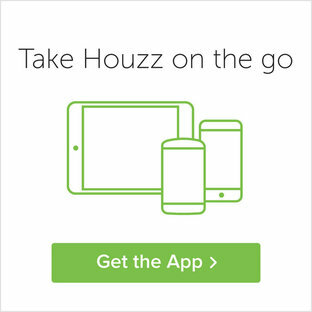 If you need some help designing your dining room, consider checking the Houzz directory of interior designers, home stylists, cabinet makers and more!